Just because you’re eating alone doesn’t mean you shouldn’t eat well. 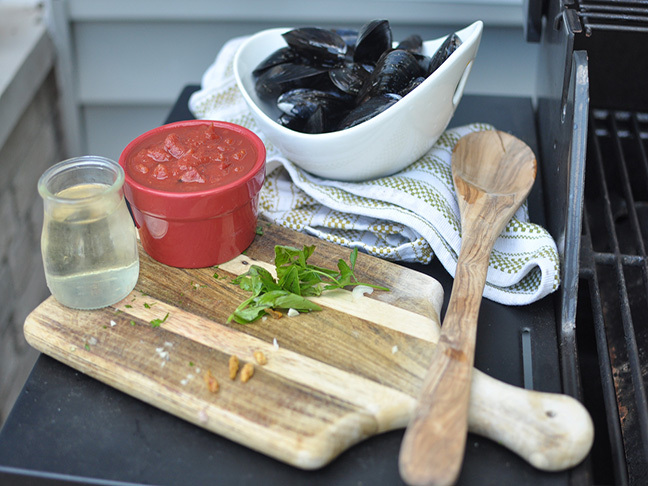 Grilled mussels is one of my favorite meals to make when I’m eating by myself or for a large crowd. The effort is minimal and the taste is fantastic. 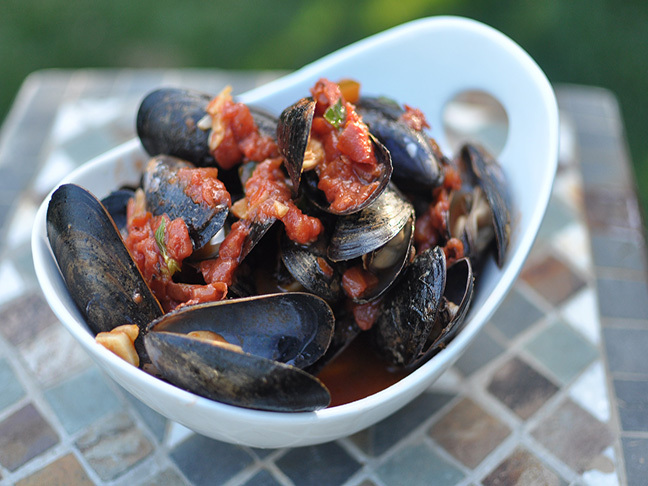 This spicy grilled mussels dish can be whipped up super fast on your stove top or your outdoor grill, making it the perfect meal for hot summer weeknights. An awesome solo-dining experience you can whip up any day of the week! 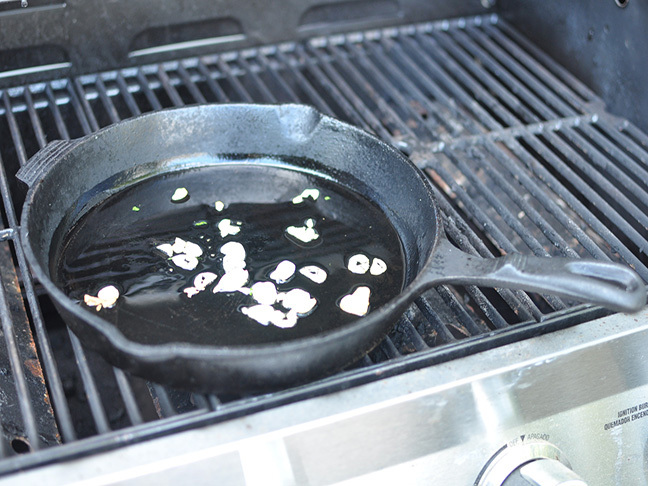 Step 1: Place skillet on outdoor grill over medium. 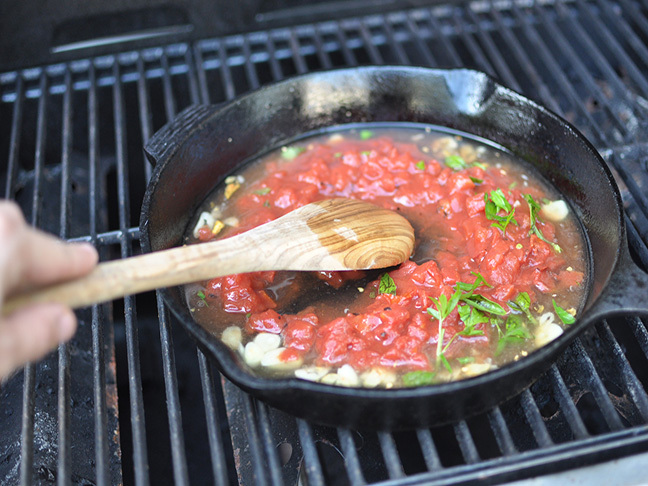 Add olive oil, garlic, and red pepper; cook 1 minute. Step 2: Add tomatoes, wine, and basil; simmer 5 minutes. 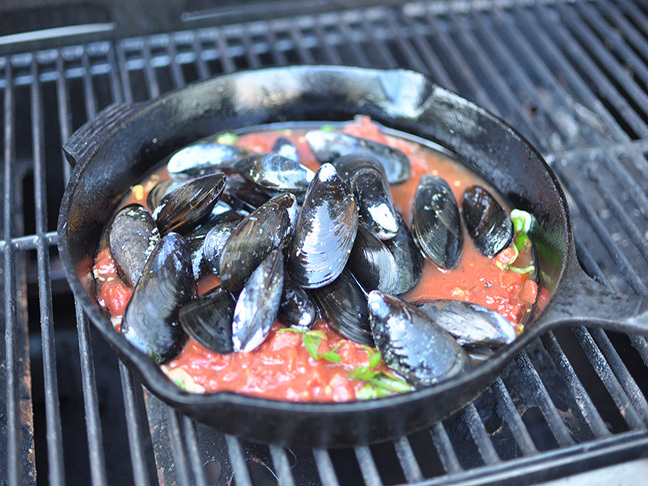 Step 3: Add mussels and cook, covered, for 8 minutes.